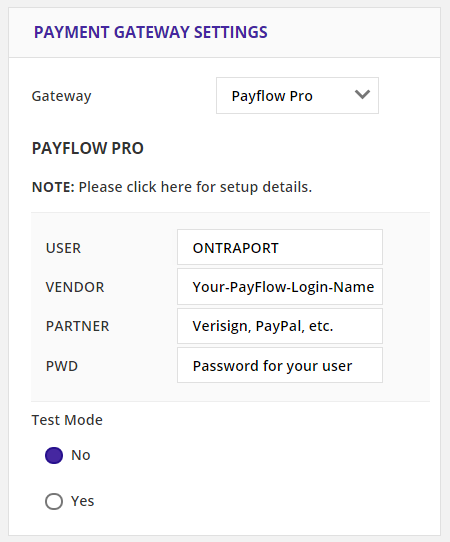 PayPal's Payflow Pro Payment Gateway connects to a traditional merchant account to accept payments through your ONTRAPORT Order Forms. PayPal can provide the required merchant account for an additional monthly fee. 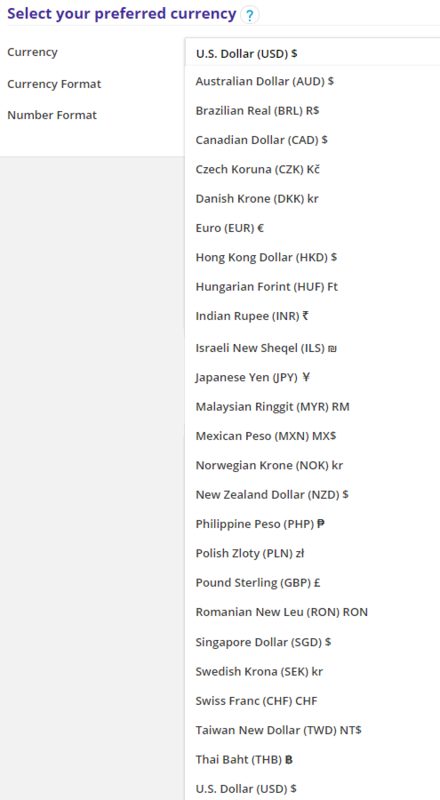 Payflow Pro can process transactions in non-US currencies (see Currency Options below). 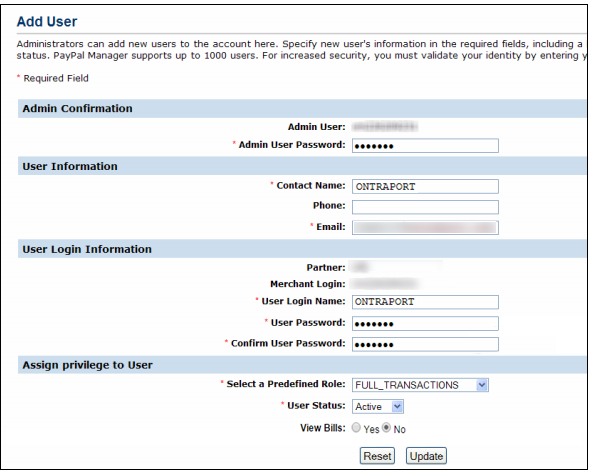 In the User Information section, use ONTRAPORT as the user, and any email address you want to use. You can elect to use your existing admin user's credentials, but we suggest the method above as a more secure alternative. Payflow Pro allows up to 1,000 users, so creating a new user for each service you use makes sense; if you ever have to suspend operation you can simply change that user's permissions without affecting other services. PARTNER - This is typically the merchant processor such as Verisign, PayPal, reseller ID, etc. You wrote this down in step 7 in Obtain Payflow Pro Credentials above. 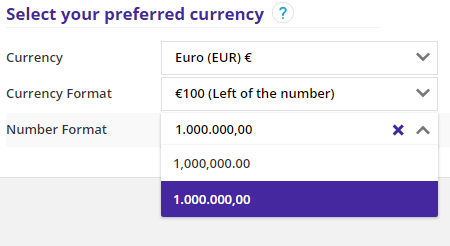 Can I use a currency other than US Dollars in Payflow Pro? A. Yes, Pay Flow Pro accepts several different currencies. Your ONTRAPORT account must be set to the same currency. 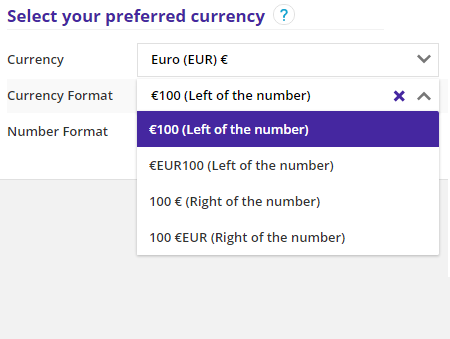 After you set Pay Flow Pro to bill in the currency of your choice you must change ONTRAPORT to the matching currency in Administration > Localization. This will also set the currency symbol for your reports, order forms, etc. I changed my currency to Pounds Sterling (GBP) but all the sales values are the same in my account. They should be converted! I switched my currency in ONTRAPORT and now all my orders are failing! I have $3,846 in currency exchange fees after switching my currency in ONTRAPORT! Are you going to reimburse me?